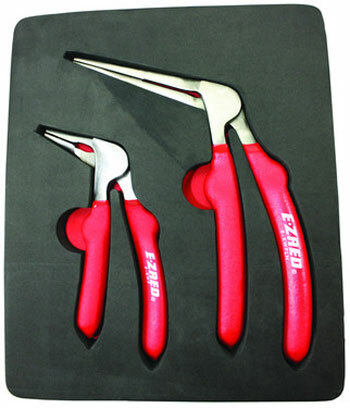 EZ Red came out with a new pair of Kiwi right-angle ergo-grip pliers that provides a more powerful grip with less effort. The curved handles are designed to fit your hands better, and the angled head allows you to work with a straighter and more relaxed wrist. 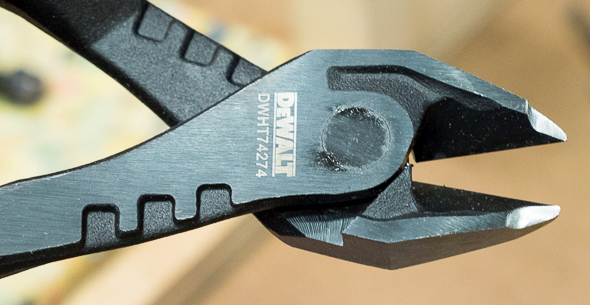 These pliers won’t be your go-to pliers for everything, but they should definitely come in handy when working in tight spaces. A high density foam tray comes with the set. 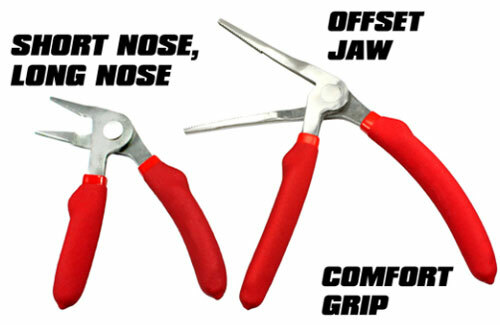 The set of two pliers includes 6″ short nose and 8″ long nose styles. Both have internal springs within the self-opening jaws. 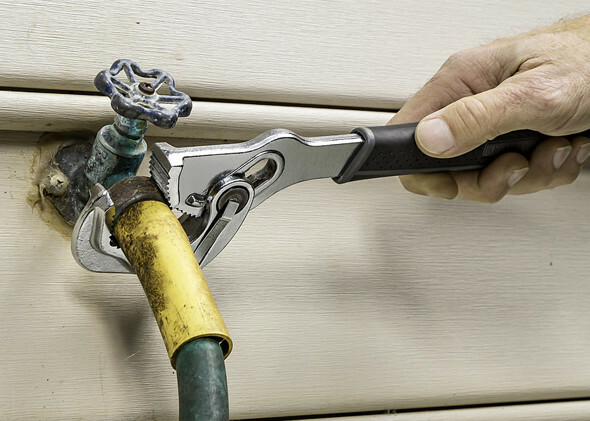 I am extremely fond of ergo-grip pliers, even though there are times when traditional pliers are more comfortable to use. 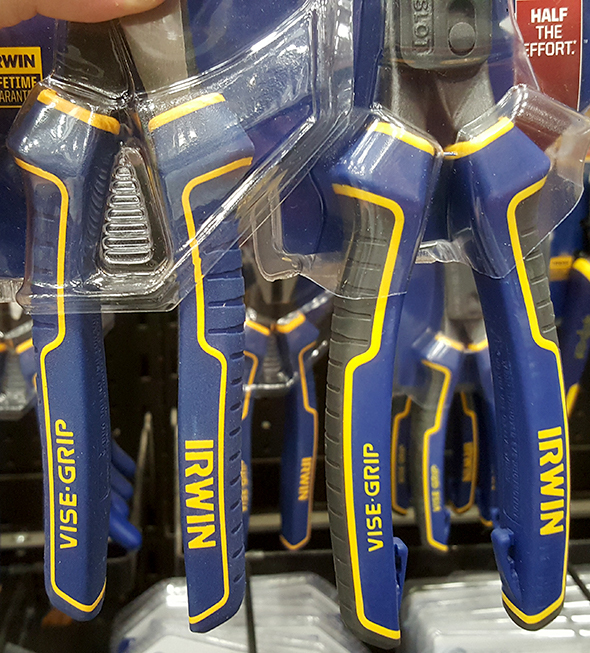 These pliers won’t look good next to my angled NWS pliers, but for less than $20 it will be hard to find a reason not to try them out. I’ve had those for at least a year, use them all the time, love em. Sometimes they’re the only thing that will get the job done. Don’t know, but probably China or Taiwan. All EZ-Red products are imported from the PRC or ROC.